With its beautifully clear and calm seawater, channelled landscape and consistent maestral wind at sea, Viganj is hugely popular for its wide variety of water sports. 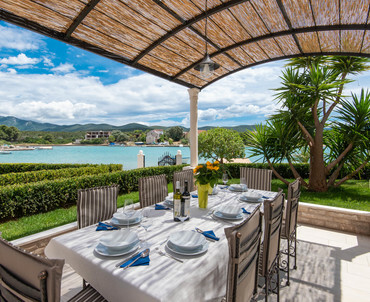 This newly renovated beachfront villa with pool is a perfect summer holiday destination if you are looking for a peace and privacy, while being located only one minute walk from the first restaurant. Located next to the pebble beach, on 3000 m2 big property in the paradise Loviste bay - you will wish your vacation would last whole year. 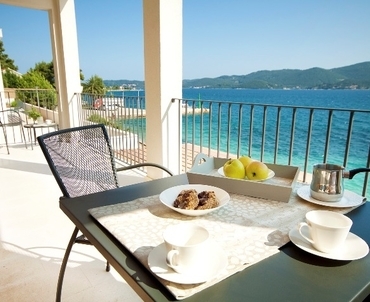 4 bedroom beachfront villa in Orebic, Croatia. ECO Aparthotel "The Dreamers' Club"
This ecological beachfront property demonstrates two things: the Aparthotel can provide a fully luxurious guest experience and be very green at the same time. A combination of ecological materials, stylish design, great functionality, spacious outdoors and lush Mediterranean gardens in The Dreamers' Club offers a place to enjoy, play, recharge and get truly inspired! 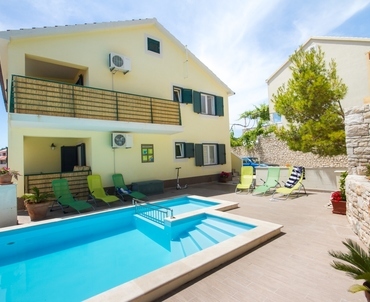 Popular family holiday destination, Lumbarda on Korcula Island, this Apartment house is only 60 m away from the first beach and features a private Pool. Watch the sunrise from the balcony with sea view, do your morning yoga on a wooden terrace or take a 20-minutes boat ride to a popular kiting and winsurfung spot across the Channel in Viganj - memorable expereinces guaranteed! 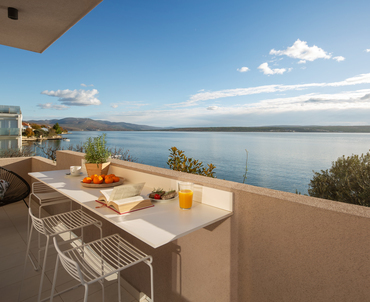 This luxury 3-bedroom apartment is located just 1 km away from one of the most famous beach in Croatia, Golden Horn. 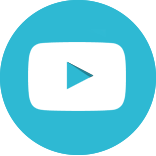 Located on the 3rd floor of a small villa - building, with the 70 m2 large open space layout, it is a throw away from a shop (100 m), and only 800 m from the centre where all restaurants, cafes and other shops are located. 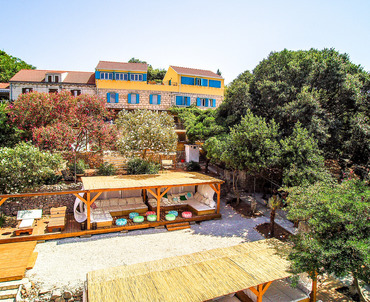 Overlooking the sea of Novigrad, this vacation house was built with lots of love and effort by a true Croatian architect, who inherited the property from her grandfather, and decided to create a cosy and romantic residence by the sea. 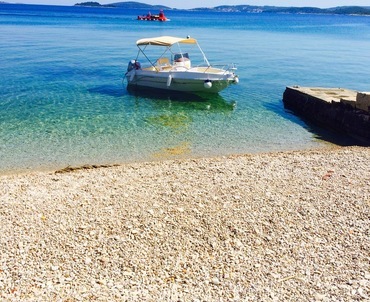 Small sheltered bay Vitarnja, 2,5 km from Jelsa town on Hvar Island. 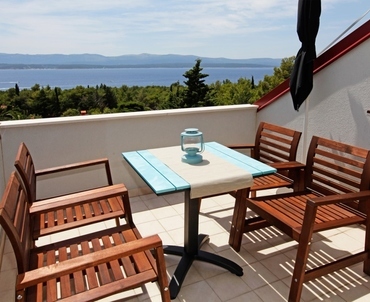 Apartment house Serenity is a perfect family destination for summer holiday. 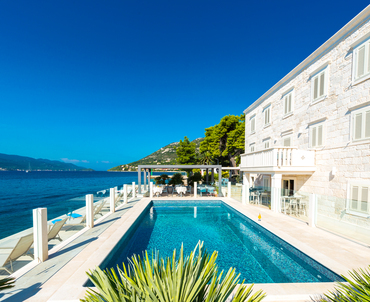 Located in the vicinity of Jelsa town on Hvar Island, where you will find everything you need to relax and enjoy your Mediterranean vacation! Beautiful views sunsets, famous lavender fields will seduce your senses. Spend an active vacation or explore the cultures of Hvar. It has it all!